Only a half-day actually physically in The Forum; the rest of this afternoon has been spent scribbling in my notebook on a train to Sheffield. Most of this morning I’ve been doing what I like to call ‘housekeeping’, which mainly involves collating my notes and turning them into fully linked, photo-illustrated blog posts. Charting my activities like this not only gives me a full ‘diary’ to assure the Leverhulme Trust that their money is being well spent, but it helps me keep track of who I’ve been talking to and when (the posts correlate with headings in my notebooks), and allows me to look back and remind myself where I’ve landed with various ideas. It’s also a helpful resource when people ask the inevitable question of ‘what does a writer-in-residence actually do?’, if for no other reason than the answer ‘go read my blog!’ teaches them never to ask again. Residencies are about responding to the space, atmosphere, people and resources of a particular environment. As a pulling together of various interests and strands of my work, I’ve started a new project with my transatlantic cross-platform creative partner, Samantha Silver, under our collaboration two.5. The Peripatetic Studio is an online space for discussion around the effect of space on creative processes. 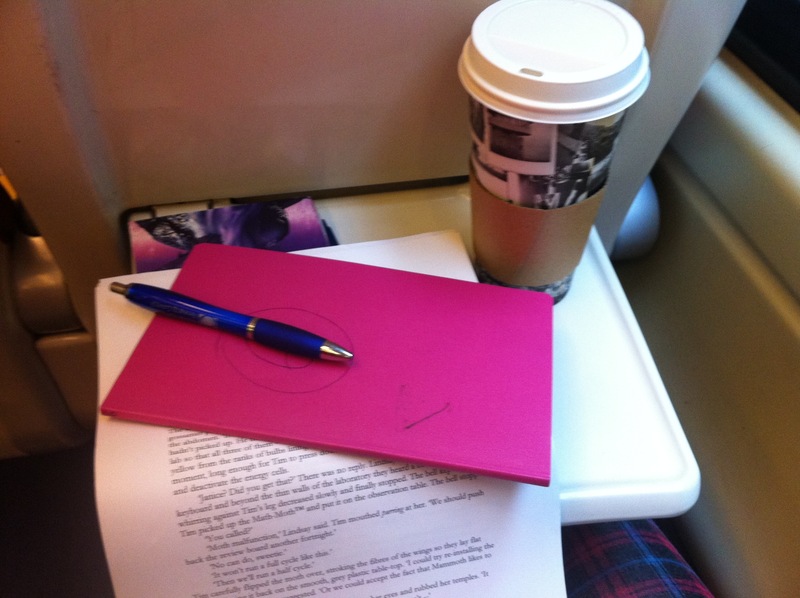 It’s launching properly in a month or so, but you can see sample posts from Samantha and myself up there now, including one from my talking about writing on trains. What have I been writing? Monologues, mainly, and brainstorming for the Pufferplay. No further extracts ready to post up yet though.